On the surface, your washing machine may seem pretty simple. You put dirty clothes in and get clean clothes out. However, if you’re just throwing your clothes in and using the same setting for every wash, you may be ruining your clothes and shortening the life of your washer. When it comes to laundry, a “one size fits all” approach doesn’t work. Follow these tips to get the lean and mean back into your cleaning machine. If you don’t have a high-efficiency (HE) washer, it’s ok to use HE detergent. Your clothes will still get clean. If you use non-HE detergent in a high-efficiency washer, you will want to grab a mop. Regular detergent produces heavy soap suds. 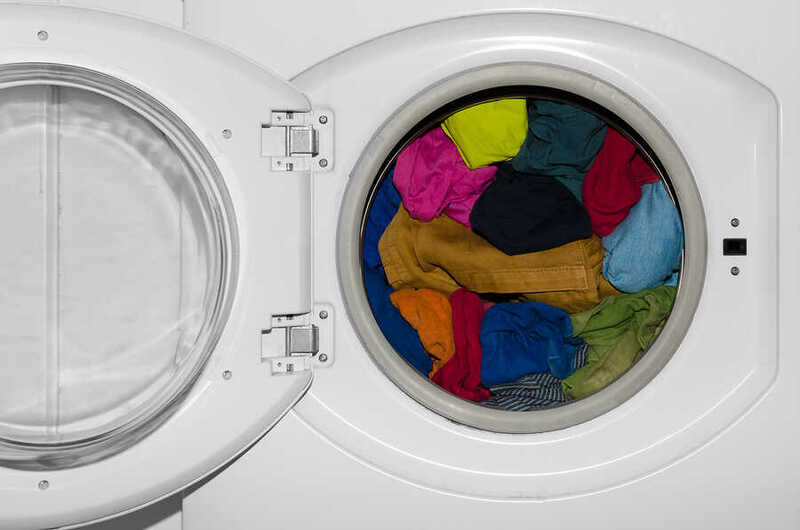 Since HE washers spin and agitate faster than a regular washer, the suds produced during a wash cycle can quickly overflow the wash tub causing the washing machine to leak. If the suds seep into the machine’s electronics it may cause the equipment to stop working. It is very important to use the correct detergent for your machine. Once you’ve chosen the right formulation, you still have several options. Powder detergent has a few advantages. First, it’s cheaper. If you’re on a budget, powder is the way to go. Second, its cardboard packaging is more environmentally friendly than the plastic containers used for liquid detergent. Some studies have shown that it may be more effective at getting out everyday dirt than liquids. Powdered detergent has a few disadvantages as well. If it doesn’t dissolve all the way it can leave a residue on your clothes. Powdered detergent can also cause problems with your septic system. 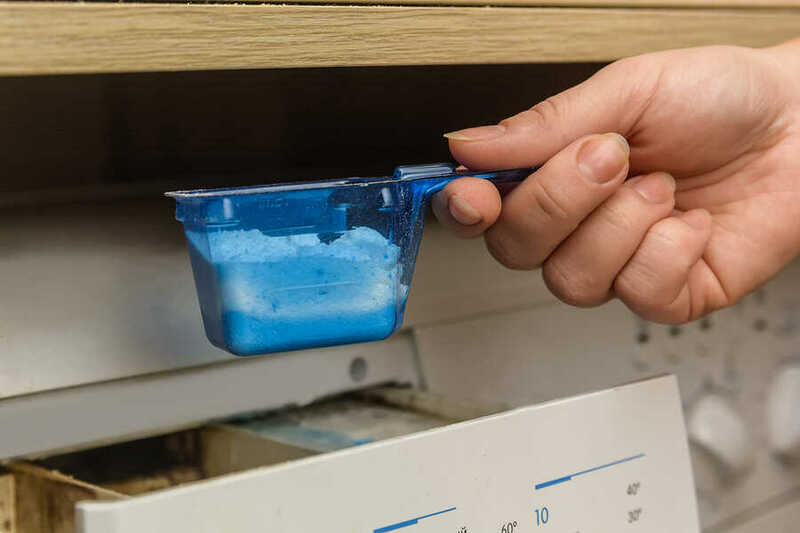 Liquid detergent can be an attractive alternative to powder. Since the detergent is pre-dissolved, residue on clothes is not a problem with liquid detergents. Unlike powdered detergent, you can pour liquid detergent on color-fast clothes to use as a pre-treatment for stains. However, it is generally more expensive than the powdered version. Also, it can be difficult, if not impossible to recycle used laundry bottles. Laundry pods are a popular choice for a reason. The ability to separate liquids allows manufacturers to pack more cleaning power into their detergents. It’s easy to always use the right amount of detergent when you use a pre-packaged pod. Also, using refill packs uses less plastic and generates less waste than buying a new detergent bottle. Laundry pods tend to be more expensive than liquid or powder detergents though. Also, apparently eating the brightly colored pods is now a thing. If you have young children at home, you may want to avoid using pods or at least keep them locked up. We don’t mean put detergent first in your life. We’re pretty sure everything laundry-related should take a backseat to things like friends and family. However, when you need clean clothes for associating with other people, or your favorite lounge-around-the-house outfit has taken on a life of its own, we recommend putting detergent first — in the washing machine, that is. Clothes have a residue when they come out of the wash? – Powdered detergent may not dissolve if it is not added to the wash first. Clothes coming out with strange stains? – Liquid detergent may stain or lighten certain materials if poured on the cloth. Diluting the detergent in the wash water before adding clothes prevents staining. Clothes not getting clean? – If you’ve eliminated other causes, the trouble may be your laundry pods. Laundry pods may not open and release their detergent in time if they don’t have time to soak in the water before the clothes are added. This tip can save you money but it is also the one most likely to be ignored. It’s a common misconception that you should use more detergent if your clothes are really dirty. The detergent companies certainly want you to believe that “heavily soiled” clothes need more product to get clean. If your workout clothes are extra smelly, it can be tempting to tip in a little more detergent to knock out the gym funk. However, if you use too much detergent, you may actually be making the problem worse. Detergent works by attracting dirt. As your washing machine agitates, the movement of the clothes breaks down the dirt and oils, which then attaches to the soap molecules. The dirt is washed away with the soap when the machine rinses your clothes. Your washer uses a very precise amount of water – just enough to get everything clean. If there is detergent in the water, the soap won’t wash away. Instead, it will become dirty film on your clothes. You can see this in action with a little experiment. Drop a tiny dab of dish soap on your hand and hold your hand under running water for a few seconds. Next, put a teaspoonful of liquid dish soap on your hand and hold your hand under running water for the same amount of time. Your hand will most likely still have traces of soap on it. If you don’t rinse it off, your hand will get sticky and end up dirtier than the hand that doesn’t have soap. The same concept applies to using too much detergent in your wash. Using too much detergent may also cause your machine to produce too many suds. Some models of washers can sense the suds and stop the wash cycle before it becomes a problem. Other models may leak or stop functioning altogether. You can prevent an expensive repair and clean your clothes more effectively by using the minimum amount of detergent required for your load size. Washing your clothes in cold water can help preserve your clothes, reduce your energy bill, and spare your washer. The conventional wisdom has always been to wash your clothes in warm or hot water, and with good reason. The surfactants in older formulations of laundry detergent did not perform well at colder temperatures. Modern detergents are formulated with energy efficiency in mind. They’re designed so they can clean your clothes as effectively at any temperature. There are good reasons to use cold water. Hot water will break down the fibers and leech color from your clothes faster than cold water. Consumer Reports research shows that using cold water can save you up to $60 a year on your energy bill. Also, it is a little easier on your washing machine if it doesn’t have to heat the water every cycle. There are a few circumstances where you should still use warm or hot water. Washing diapers – cold water cannot sanitize a soiled diaper, and hot water should always be used. Washing towels – Towels are often a breeding ground for mold and mildew. Hot water will kill the spores and keep your towels fresh. When the weather outside is below freezing. – There is a lower limit on water temperature where detergent stops being effective. 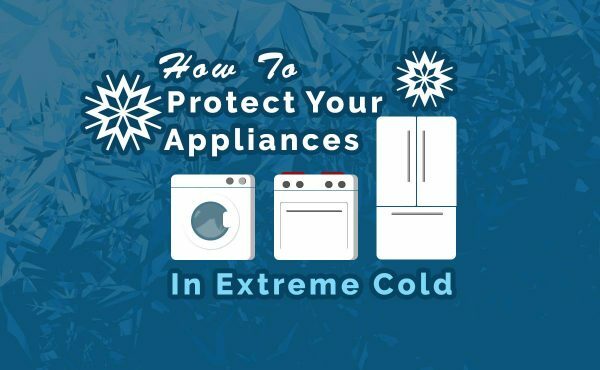 If the water coming into your home is below 40℉ (4°C), your detergent may not dissolve fully, and it may not get your clothes clean. When the weather is very cold, it is best to wash in warm water. Whenever you wash your clothes, it is important to follow the directions on the tag to make sure you don’t accidentally damage the garment. Not everything can be washed in a regular cycle. Some clothes need a delicate cycle, others can’t be washed at all. Following the tag isn’t always enough to protect your favorite clothes. Not every item of clothing needs to be washed every time it’s worn. The Ultimate Guide to Washing Jeans recommends only washing your jeans when they start to smell. Bras are another item that doesn’t need to be washed after every wear, but there is debate on how often they should be cleaned. Some sources say every third wear, others suggest it is fine to go a month between cycles. As long as your clothes don’t smell and aren’t visibly soiled, it is generally ok to wear them more than once before you wash them. Socks and underwear are the exceptions. There’s a saying that you should always wear clean underwear in case you’re in an accident. While preventing embarrassment is important, it’s also important for preventing fungal and other infections that thrive in warm, moist environments. Most of us know that we should separate light colored clothing from darker colors. A stray red sock in a load of white clothes can turn an entire basket of laundry into a bunch of outfits that would be at home in a breast cancer awareness rally. It’s important to sort by material as well. A large part of the cleaning action of your washing machine is in the friction of the clothes as they move against each other. The coarse denim of jeans can shred the thin fabric of a pair of leggings. Softer fabrics like t-shirts and tights should be washed together, while denim and corduroy materials should be washed separately. Fuzzy items may need their own wash cycle as well. If you wash towels with socks, you may find your footwear covered in tiny white pills. Unless you’re going for the polka dot look, towels should be washed in their own load. All the bits that help keep your clothes together when you’re wearing them can rip your other clothes during a vigorous wash cycle and destroy your washing machine. A stray hook can snag a hole in your knits, and zippers are basically little saws ready to shred your best band shirt. Prevent destructive wear by putting your clothes together as if they’re being worn and then turning them inside out. 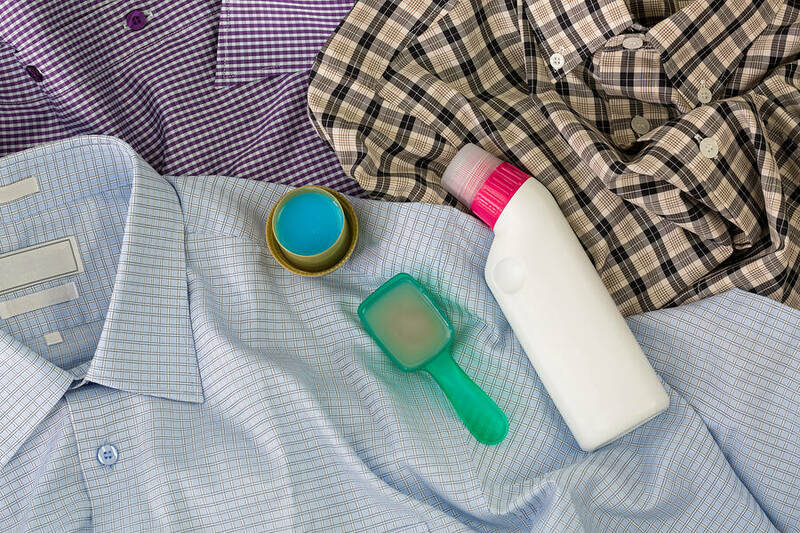 Turning your clothes inside out helps preserve the look of the visible part of the garment while making sure the side with all the oils and dirt from your skin gets a thorough wash. Your clothes need other garments in the load to help break up dirt and stains. A wash load with only one item of clothing will be less effective at getting the item clean than if there were other clothes in the wash cycle. Also, using a full load helps ensure you always have the ideal water to detergent ratio needed. If saving money is your goal, fewer loads with the maximum amount of clothes per cycle can help save both water and electricity. However, there is a limit. An average washing machine spins 600 – 1400 rotations per minute. If you stuff too many clothes in the washer drum, your machine may do the shimmy shake during the spin cycle. You probably don’t need us to tell you that this is not good for your washer. Load your washer, but don’t stuff the machine. Follow the guidelines laid out in your washer manual for the ideal load size. 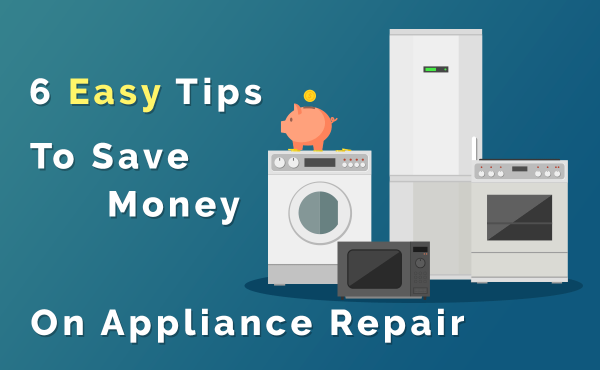 You may think your washing machine shouldn’t get dirty when all it does it wash things all day. 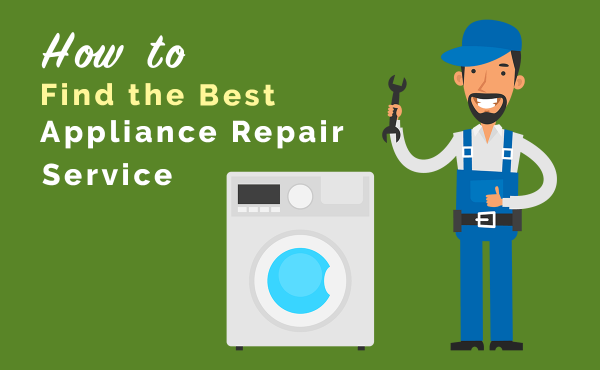 Every washer needs a little love to prevent buildup, mold, smells, and damage to all the moving parts. 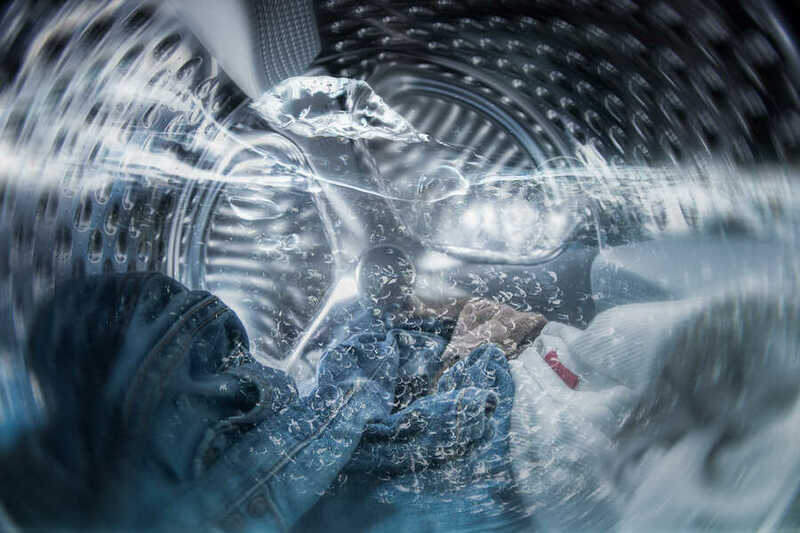 Check out our washing machine maintenance guide for a full overview of how to keep your washer happy and shiny. The better you take care of your machine, the longer it will last. With an average cost of $600 – $1300 for a new machine, the investment of time is well worth the cost. 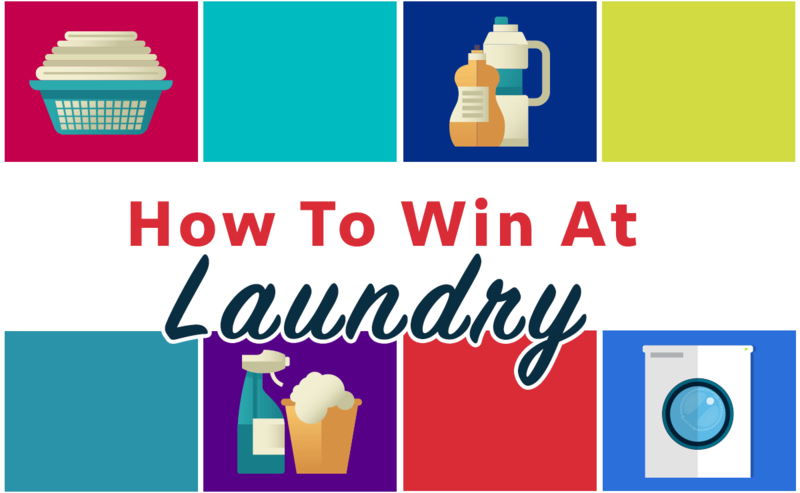 Do you have any “Must-Have” laundry tips? Comment with them below, and we may add them to our guide!